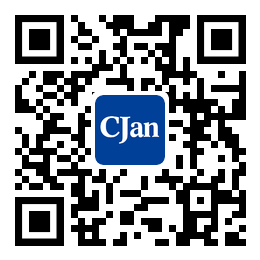 ﻿ PTFE Tubing - CJan Fluid Technology Co., Ltd.
PTFE tubing is made by piston extrusion tubing of high quality and uses special processing technology to make the steel tubing and the plastic tubing together closely. It can withstand the pressure of 18.0Mpa, negative pressure: 77Kpa; it can be used in normal under the temperature from -60℃ to +260℃; it is reliable with excellent corrosion resistance. It can deliver strong corrosive gases and liquids at high temperatures, which is no substitute for other pipelines. Polytetrafluoroethylene (PTFE) has excellent chemical stability, can resist all kinds of strong acids, strong bases and strong oxidants, and will not work with various organic solvents. PTFE has a wide range of using temperature and can be applied at -180℃ ~250℃ for a long time under normal pressure. After being manipulated for 1000 hours at the temperature of 250℃, its mechanical properties change little. PTFE has a very low friction factor. It is a good antifriction and self-lubricating material. The coefficient of static friction is smaller than the coefficient of dynamic friction. Therefore, the advantages of making the bearings are small starting resistance and smooth operation. PTFE is an excellent electrical insulating material because of its non-polar, heat resistant and water free properties. It also has excellent aging resistance and is non-sticky as well as non-flammable. The PTFE rods, tubings, films, gaskets, bearings, valves and other special-shaped material and parts are widely used in mechanical, chemical, aerospace, electrical and electronic, national defense industry, cutting-edge technology, medical and electrical insulation and etc..